One of the intriguing side stories at the 2018 Cheltenham Festival is the race to be top jockey, and with Ruby Walsh's injury woes putting an end to his chances then we look at the likely candidates bidding for the coveted crown, and having the honour of wearing the prestigious pink armband. We take a look at the remaining rides the top six in the betting have left over the final two days of the festival, and provide you with the latest up-to-date betting. Having ridden Samcro and Veneer Of Charm to victory yesterday, Jack Kennedy rocketed to the top of the pile, as having also ridden a trio of third places he surpasses Ruby Walsh to top the charts, and the 18-year-old will fancy his chances of riding another winner by Friday evening. 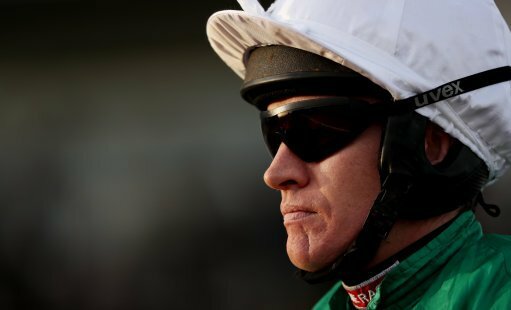 Apart from his win on Buveur D'Air in the Champion Hurdle, Barry Geraghty has struggled to land any other sort of blow at the meeting so far, but he will don the green and gold silks for a host of chances on the final two days, and he will be confident of challenging Kennedy for the leading jockey prize. Ruby Walsh's injury will see Paul Townend come to the fore on board the Willie Mullins-trained runners, and while Townend is yet to pick up a winner at this year's festival he could have a superb book of rides in the remaining two days, and with Mullins having already picked up five winners this week, then Townend could be in for a profitable couple of days. Sensational on board Presenting Percy in the RSA Chase on Wednesday, Davy Russell had less luck when Bless The Wings stumbled in the middle of the Cross Country Chase, and the former Gold Cup-winning jockey was stood down for the day. So, providing he can pass the doctor on Thursday then Russell will be another aiming to propel himself up the jockeys' standings. Having kicked off the festival with a fine win on board Summerville Boy, Noel Fehily has hit the crossbar on a few occasions with Black Op and Monalee finishing second, but he can head into the final two days in the knowledge he has some decent rides across the board, and he could be the potential springer in the jockeys' standings. Amazingly, Nico de Boinville finds himself riding at Towcester on Thursday afternoon, but the man who partnered Altior to Champion Chase glory is still in the race for the jockeys' title, with a brace of second place finishes aiding his chances. However, he only has two rides booked for the final day, but one of them is the leading Gold Cup contender, Might Bite.